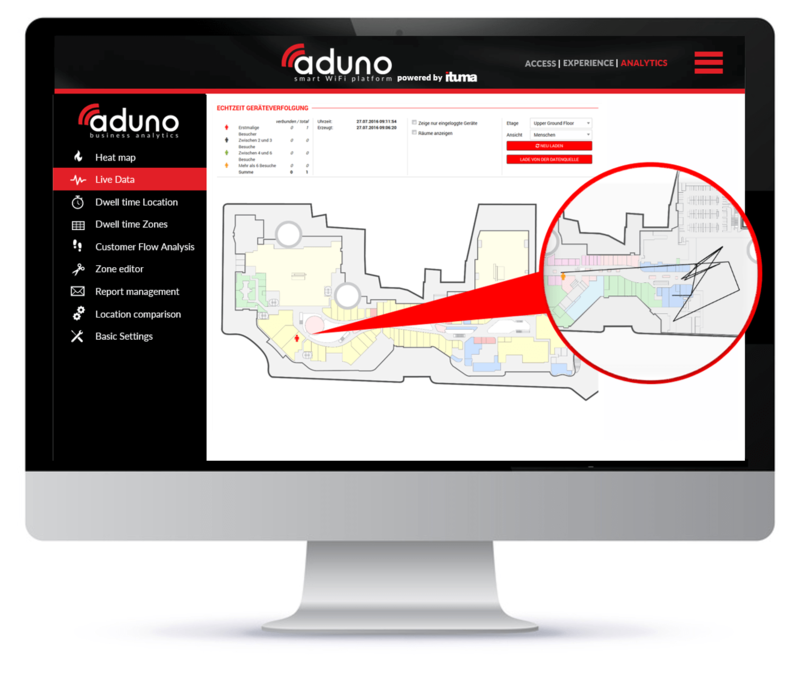 aduno is Latin for: “I unite” – and this is precisely what aduno does: It is a specially developed software framework on a Wi-Fi basis, which allows individual modules to be combined according to needs and even to integrate existing systems. This allows a uniform and thus efficient system control. aduno forms a holistic, individual digital channel that brings together knowledge and competence from the online and offline sectors and helps bringing digital knowledge back to the POS. 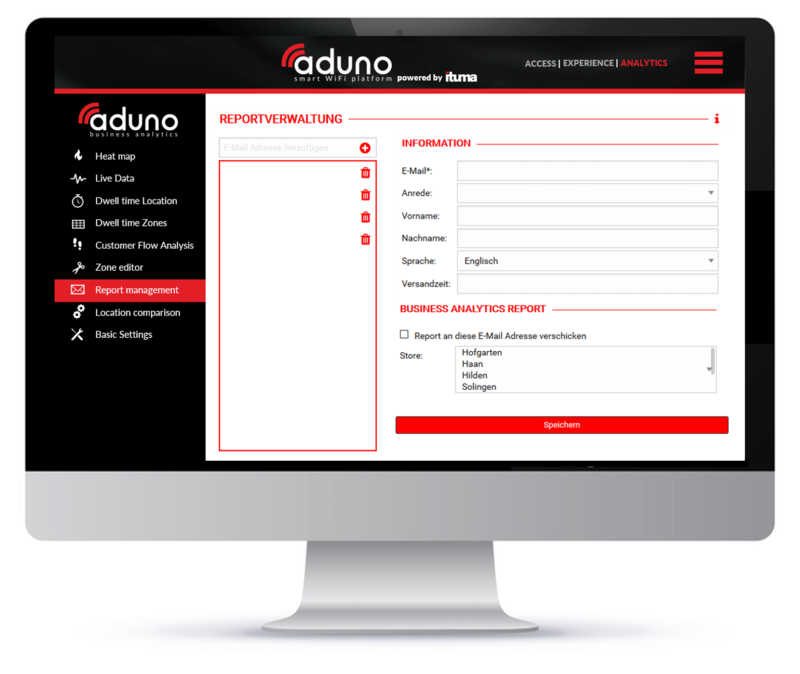 Valid data protection requirements are an essential part of the aduno product solutions. Thus, we support the “Location Privacy Initiative” where we have positioned ourself as a pioneer for anonymized movement profiles since 2015. This includes providing informative opt-in possibilities and autonomous opt-out functions, which teaches the user transparently before the usage of a location service and simultaneously offers the option to exclude themselves independently from data tracking. Effective consulting measures and technical tools ensure that a data protection-compliant service is always provided. 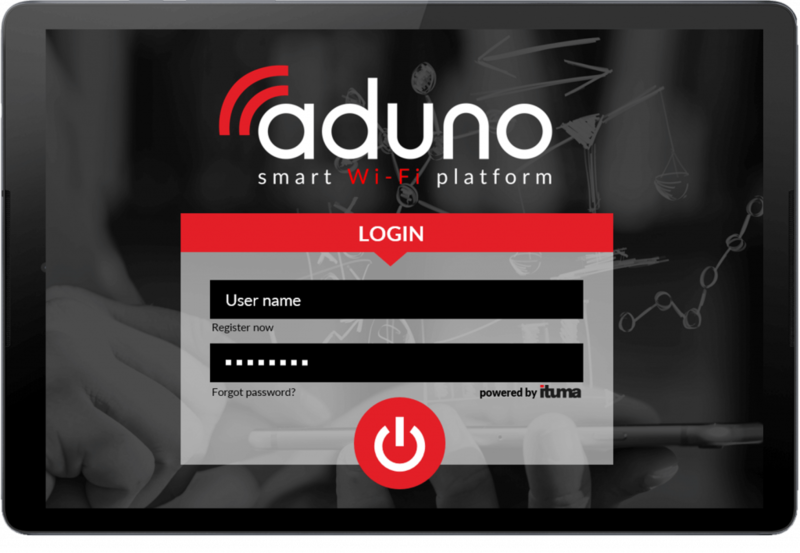 The aduno smart Wi-Fi solution platform is optimized and aimed at medium to large businesses in retail, hospitality, cities and malls. – you may chose between SMS, Social Media, 1-Click-Through or e-mail. Our Managed Access solution enables your customers to connect to the Internet or with approved websites (whitelisting). The inclusion of general Terms and Conditions and first-generated log files complete this first stage of digitization. 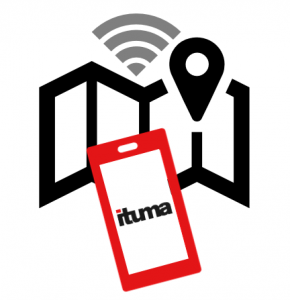 With the ituma GmbH as a partner you do not have to worry about “Störerhaftung” (Liability for interference). We offer to take over the role of the certified provider for you. Due to the successful registration with the Federal Network Agency, the vexing issue of liability for interference won’t concern you. Whether you work with Cisco, Ruckus or HP Aruba: Our software is designed for a wide range of proven Enterprise Hardware. Thus, we are not bound to any of the producers and are able to work with the hardware that is best for you. A visually and content customized landing page (Walled Garden) is the foundation of aduno Customer Experience. Here, customers are contacted directly without prior registration and receive current and location-specific information and services. With the added switchable Advertising Management Module you can indicate on special products or actions. By the set-up of advertisement the running costs of the customer Wi-Fi can be minimized and in the medium terms a ROI can be achieved. Our proven concept of a Walled Garden allows you to send personalized contents, such as discount campaigns or upcoming events, as well as location-based information to your customers – using your own CI. Win regional sponsors and supporters by this new, digital distribution channel. Offer ad spaces and logo places within your Walled Garden to achieve a Return on Invest. Based on different location data and user profiles, you can send contents and ads to your customer’s mobile devices. Thus you are able to collect log dates which you can use as a justifying indication for your ad rates. Offer bundled, centralized contents and services to your customers for a better customer journey and user experience (e.g. event calendar, opening times, location plans, menus or booking tools). Collect Walled Garden click statistics and evaluate your customer’s behavior and interests – selected data output (e.g. for advertisers) is possible as well. 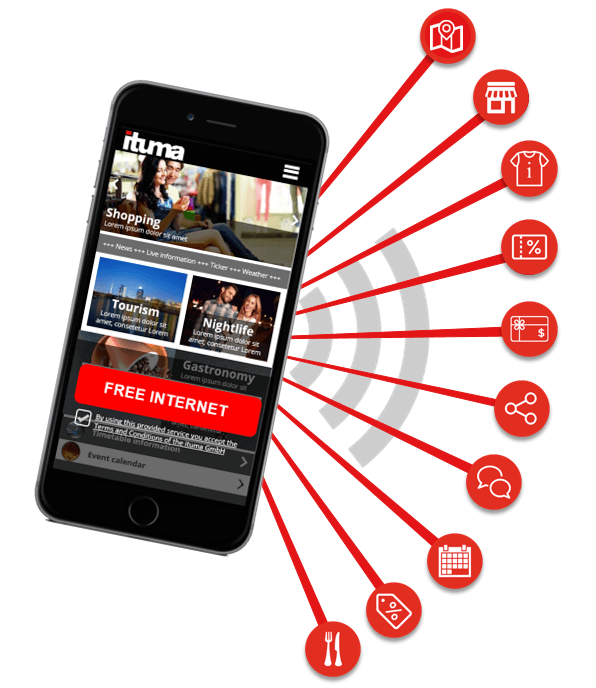 Benefit from the advantage of being able to play out your contents directly on your customer’s mobile devices. Doing so, your customers receive their own and personal digital signage terminal. Reach your customers contemporary and anywhere in your location. Have a look on the number of the Managed Access users of the “Hofgarten Mall” vs. the number of users of an equivalent App within the same period – surprised? Our solution is – unlike Apps – independent concerning operating system, the downloadability of the user or any app updates. The user can easily use the digital services directly on his device – always up-to-date! 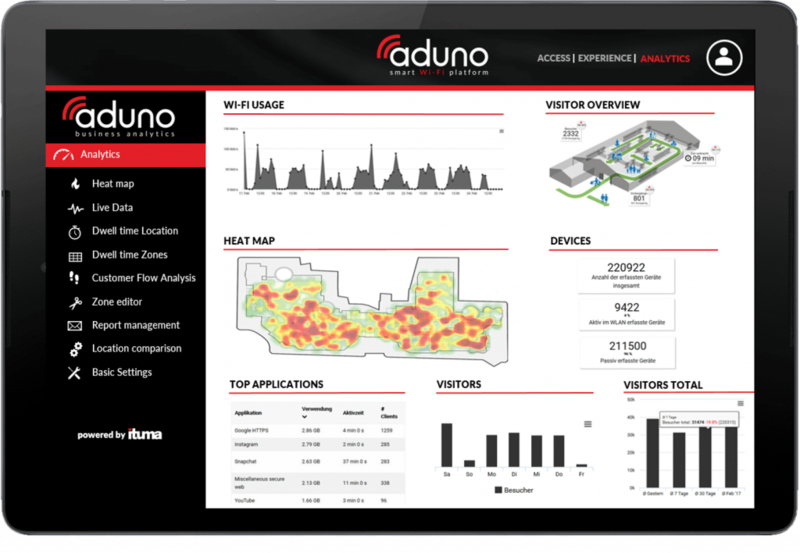 aduno Business Analytics processes all detected devices and prepares the data within the system graphically. Created in real-time, historical movement profiles and various features (heat map, live view comparison of different locations, …) allow conclusions on customer loyalty, walking paths, fluctuation and behavior. The classification of zones and spaces delivers measurable values on strong and weak sales areas and allows tailored marketing campaigns for different user group. The record of customer data (mobile devices) is anonymous and in conformity with the Federal Data Protection Law. No personal information is communicated or stored in databases. Get to know your customers: Learn about their behavior, their interests and needs via collected statistics, anonymized data and movement analytics. 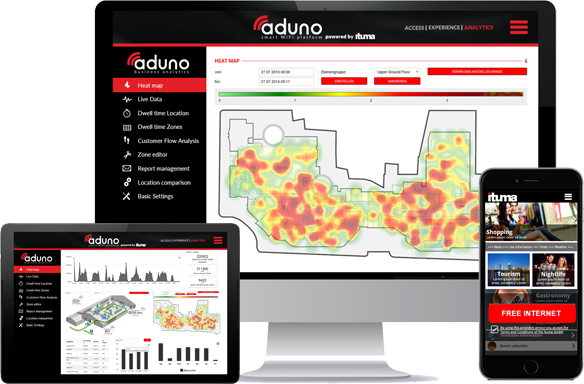 Powerful features such as heat maps oder a live view option allow you to always react just in time – see at a glance if you have to increase e.g. your service or security staff due to a crowding. Live and even time-retroactive. Get insights on your customer’s walking paths, flows and fluctuation. Optimize e.g. walking routes or arrangements of low frequented areas on this basis. Personal Mac addresses are hashed by our proven encryption method and thus anonymised. This ensures a consistent data privacy compliance. Take advantage of the possibility to directly compare several locations with selected parameters. Gain insight into the success factors and effectiveness of marketing campaigns. 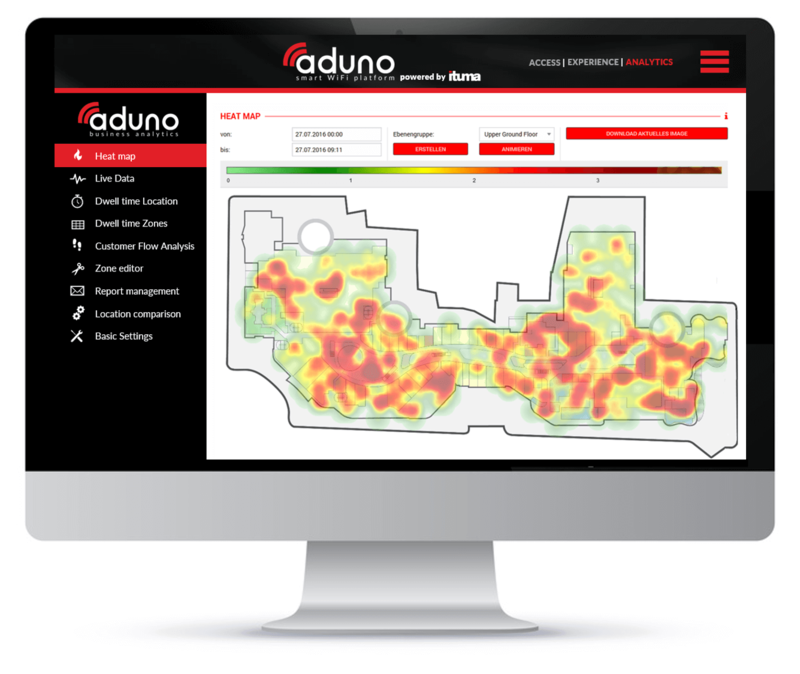 aduno Business Analytics provides a powerful analytics software based on your Wi-Fi infrastructure. Personal data of your customers (click statistics, movements, walking behavior, …) is tracked, recorded and anonymized. The collected data is analyzed and prepared within your Cockpit – you’ll find statistics, summaries and analytics at one glance. Relevant derivations on your customer’s behavior or on trends are easily and graphically visualized. The in-depths insights will help you understand your customers even better – giving you the opportunity to react on current needs at any time to fill unused potentials within your location. ..and many more interesting insights of your location. Save manpower and time through analytical insights. Detect weaknesses and act on them actively. Win new customers and make your existing customers happy with a modern, individual service. Improve the shopping experience significantly! Compare your branches and locations. Set benchmarks on this basis and measure the performance. 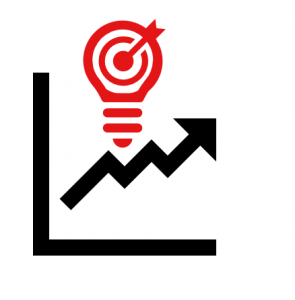 Optimize your marketing activities by targeting campaigns based on statistical and analytical evaluations. 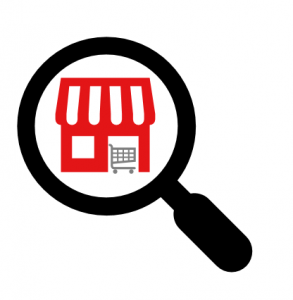 Learn more about your customer’s walking paths, dwell times and interests. We offer numerous modules to help you understand your customers better! By proven encryption methods and a guaranteed anonymisation of the users, we guarantee the unconditional compliance with valid data protection laws. In addition, we take over the so-called “liability for interferences”. Generate rising sales through improved visitor and buyer conversions. Generate additional profits and ROI through co-operation and advertising clients. You can influence your business success directly by recognizing and actively implementing best practice concepts. Our solutions are compatible with all common devices and operating systems – all without any updates or downloads from appstores. Integrate well-known social media networks (Facebook, LinkedIn, Instagram, Twitter, …) and increase marketing KPIs and your digital reach. In addition, you will get to know your customers even better.